The stunning conclusion to the Hourglass trilogy is finally here! And you have a chance to win it! 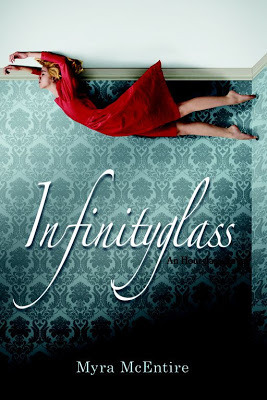 Egmont USA is graciously offering the readers of this blog the opportunity to win a copy of Infinityglass along with a poster to accompany the book. Thanks so much for the giveaway! I have pinned it, and G+'d it! I have been hearing great things about Infinityglass!! I soooo wanna read this! !